Hello, summer! From bold beach towels to bright printed frocks and brilliant tropical drinks, we’re seeing vivid colors everywhere. 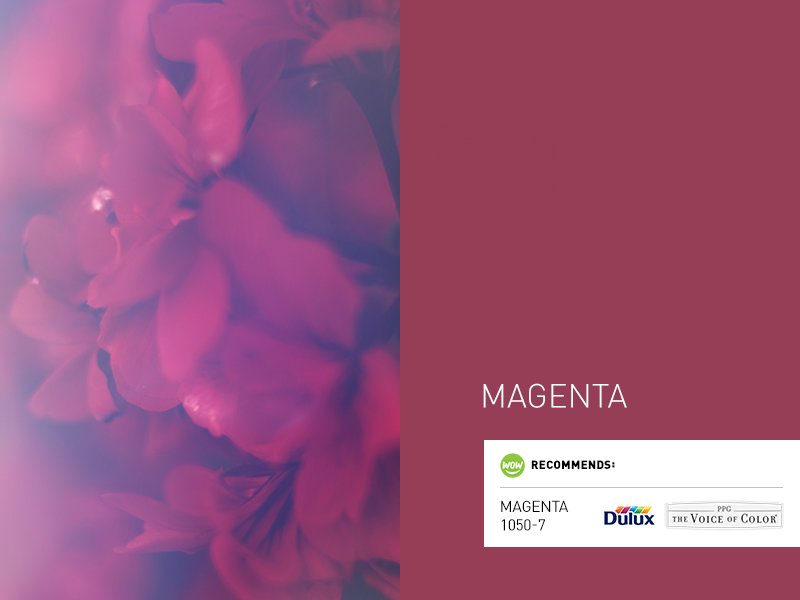 The color of the month for August is one of our very favorite bright colors: magenta! This electric pink tone isn’t for those who want to blend in—it’s a color that can’t help but stand out. Because it’s so bright, we suggest using it as an accent color. It really pops when paired with colors like gray and darker neutrals. For a more subtle way to bring in some hot pink, stick to smaller accessories and decorative elements. 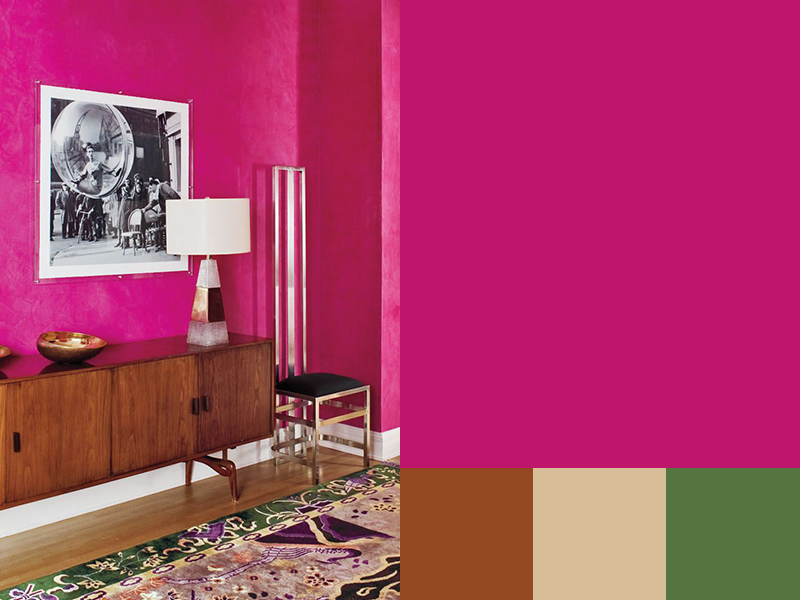 If you want to go a little bolder, add in some funky furniture in magenta! 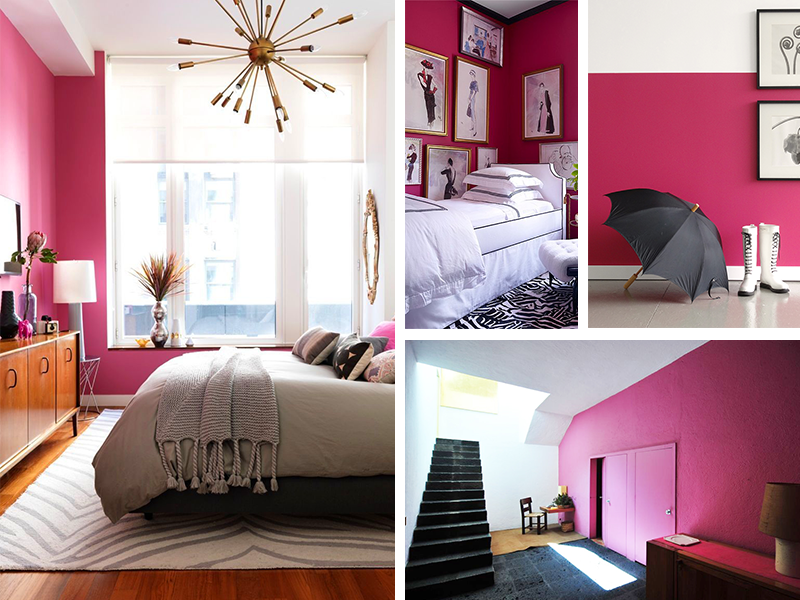 Those who really want to make a statement can look to paint—a magenta feature wall is a perfect way to highlight a piece of art or a dramatic fixture. If you want to work a little magenta magic on the exterior of your home, we suggest keeping it subtle. (While we’re sure they’re out there somewhere, it’s not common to see a house with a fully magenta exterior.) For your outdoor looks, this bold hue is best used as an accent color. Try adding magenta in pillows for your outdoor furniture and decorative accents, or take it to the next level by using magenta flowers in your landscaping too. 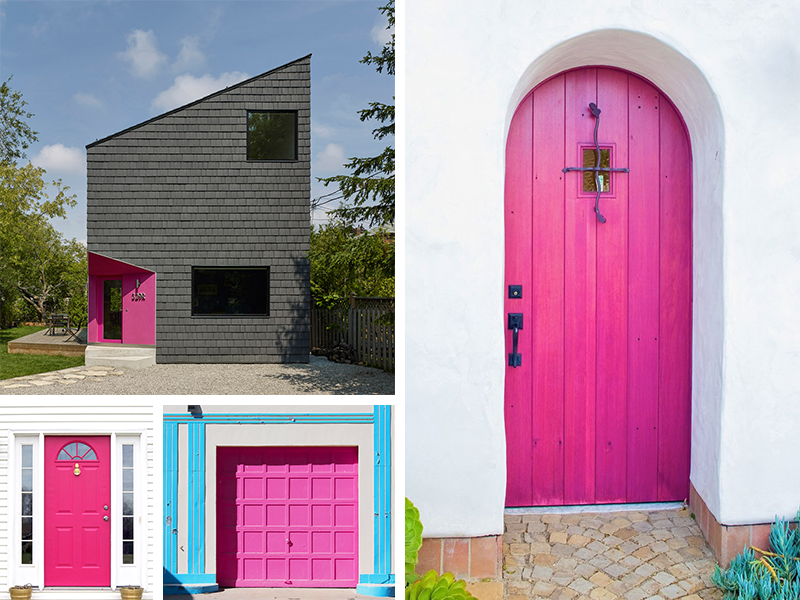 If you want to see magenta as part of your home’s look all year round, try a funky magenta front door for a look that stands out without being overwhelming.